Former major league first baseman James Loney has cut his South Korean stint short after just 23 games, having returned to the United States in response to a demotion to the minors. 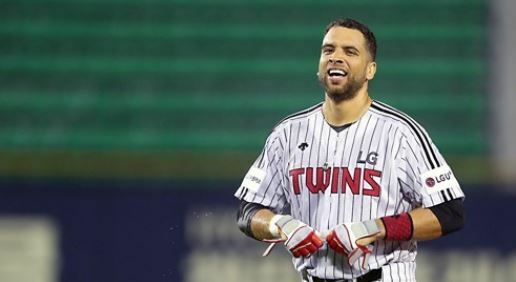 The LG Twins in the Korea Baseball Organization said on Tuesday they have also placed Loney, 33, on the voluntarily retired list. Players on the list are ineligible to perform anywhere in the KBO without permission from their original club. They won just one out of six games last week to drop to seventh place at 57-55-2 (wins-losses-ties), a game back of the fifth and wild-card spot, currently occupied by the Nexen Heroes. Loney signed for $350,000, but players who get placed on the voluntarily retired list during the season won't be paid for the remainder of their contract. A Twins official said Loney was not pleased with his demotion. Their general manager, Song Gu-hong, met with Loney on Sunday to talk things over, but the player left later that evening. The Twins got in touch with Loney after he arrived in the United States and tried to convince him to return. They told Loney that he'd be placed on the voluntarily retired list unless he rejoined the Twins, but the player didn't budge.